The world is filled with never-ending engineering challenges – it’s our job to create the solutions. Our depth of experience enables us to provide clients with an expansive overview of projects, as well as a unique, cross-disciplinary perspective on the design process. We’ve put our engineering skills to the test on over 4,000 projects across the United States, ranging from a few thousand dollars in capital appropriation to over 80 million. See our results. As an employee-owned company, the staff members of VITOK take a vital interest in building loyal client relationships. Everyone working together for your project is sharing the same coffeemaker. We started out as a small engineering firm seeking to become a single-source service of all major engineering disciplines to clients in our area. Since then, we’ve evolved to help thousands of clients across the country. Here at VITOK Engineers, we pride ourselves in the ability to offer a full suite of engineering services to our clients. Think you have what it takes? 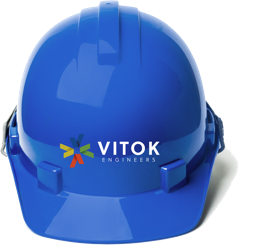 VITOK is always looking for talented engineers from all fields.